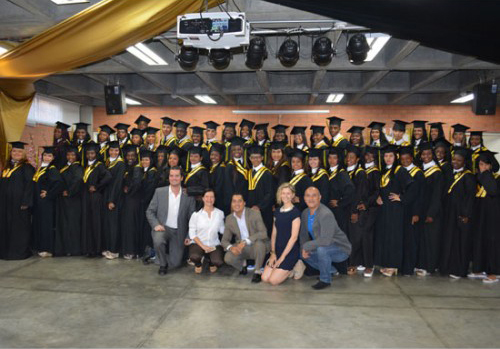 Rumbo Joven, 53 Graduates Ready to Work for Cali! The ex governor of Chocó and current Dean of the University del Pacifico gives an incredibly moving speech to the graduates of the third cohort of our employability program Rumbo Joven. We are so proud of our 53 recent graduates who are changing the course of their lives and at the same time changing our world! !